Ever since we worked with Chris Reeve to come out with the Carbon Fiber version of the Inkosi, we have had many, many requests to bring out an insingo blade version. We completely agree, and good things come to those that wait! This is a perfect version of an overbuilt everyday carry that features the utilitarian insingo blade shape designed by Rodney Connelley and Chris Reeve, with the reduced weight of the carbon fiber handle scale. This large inkosi folding knife comes with the 3.64" blade with a long curving blade shape that CRK calls their insingo blade. The insingo style blade shape is a design that Rodney Connelley and Chris Reeve developed and was at one time exclusive to KnifeArt.com The gentle curvature of the blade allows for outstanding, even slicing capability. The blade steel that is used is stainless American Made CPM S35VN with an RC hardness of 59-60. This steel comes with a fine stonewashed blade finish and helps hide scratches after repeated heavy use. The blade is a large-hollow grind that merges the best of both the flat grind and the hollow grind into a functional cutting tool. 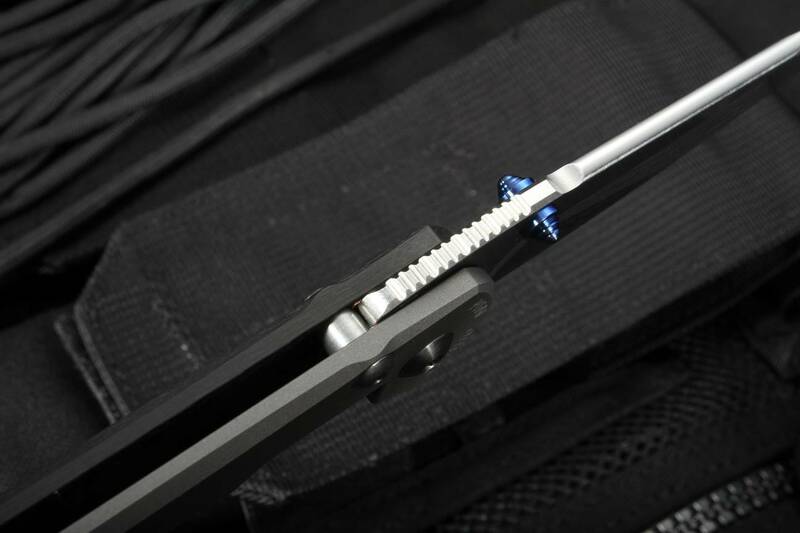 The blade can be accessed with either hand by the dual blue anodized titanium thumb lugs mounted on either side of the blade. Chris Reeve Knives has long been known as the innovator and developer of the framelock construction. It puts beefy titanium behind the blade tang of the knife when it is open, providing an extremely robust locking mechanism. What makes this knife special is the use of premium grade carbon fiber on the non-locking side of the knife. 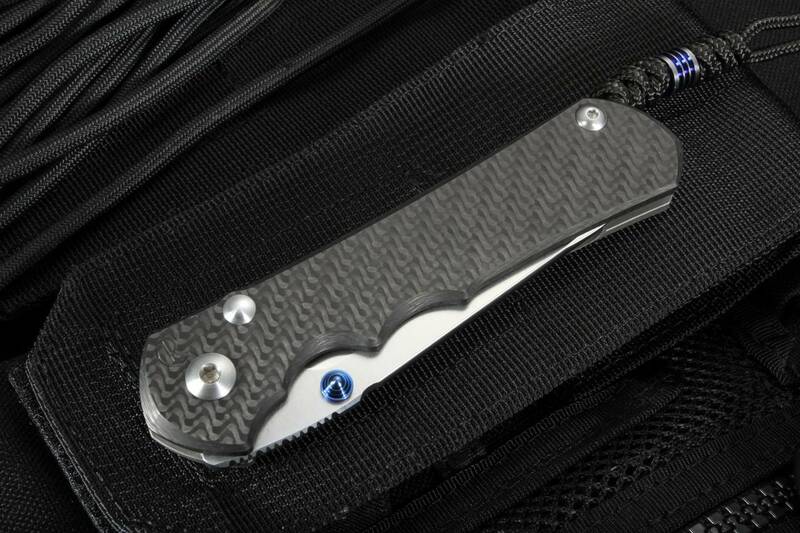 Carbon Fiber was selected by us to reduce the weight without compromising on the strength of the knife. We believe that items in your everyday carry should be as strong as possible yet not be overweight. Carbon fiber is the perfect material because it is rigid, very machinable and retains incredible strength. CF provides a higher strength-to-weight ratio than conventional aircraft materials and that is why it is even used on the Boeings Dreamliner aircraft. 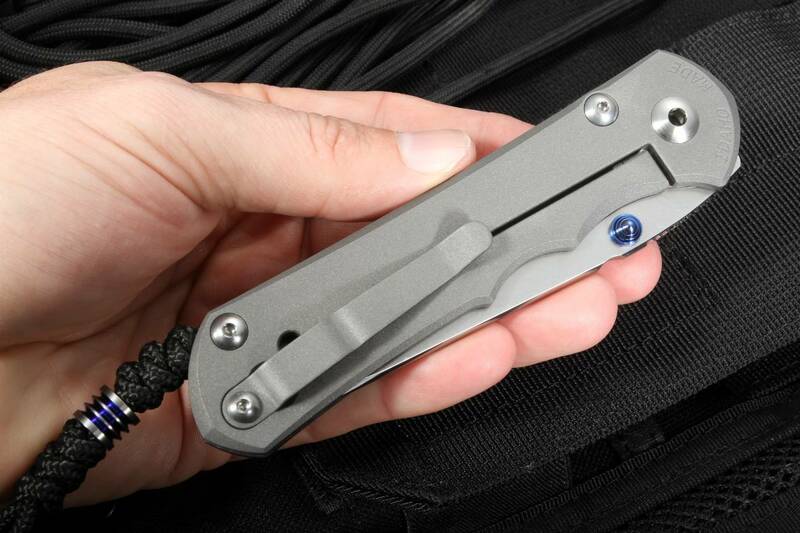 The end of the handle has a hand-tied black cord lanyard with a special blue anodized titanium bead, it looks cool and makes it easier to retrieve the knife from your pocket. The Inkosi has several engineering improvements that make it an outstanding choice for a heavy duty folding knife. The frame lock mechanism features a ceramic ball that works as a lockbar interface on the back of the blade tang. This ceramic interface greatly reduces lock wear. Another improvement that the inkosi has is the wider pivot construction and wider phosphor bronze bushing, this larger bushing provides excellent stability when the knife is open. 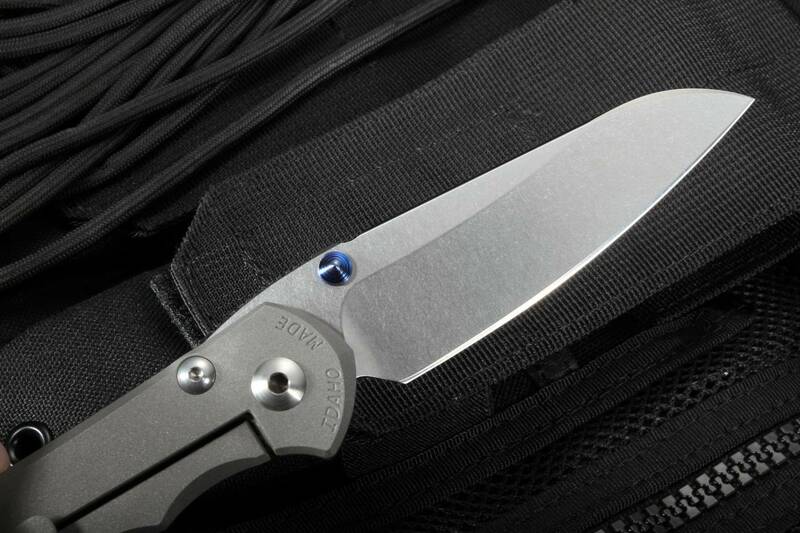 The principle specs on the large inkosi are a blade length of 3.64" along with an overall length of 8.4". Thanks to the carbon fiber on this knife, the weight is reduced to 4.0 oz! 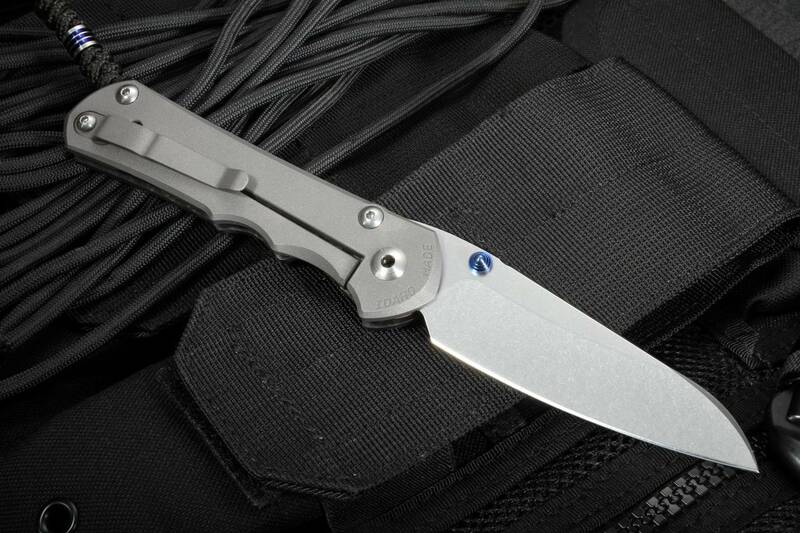 This is a full-size folding knife and is a similar size to the large sebenza and the inkosi. 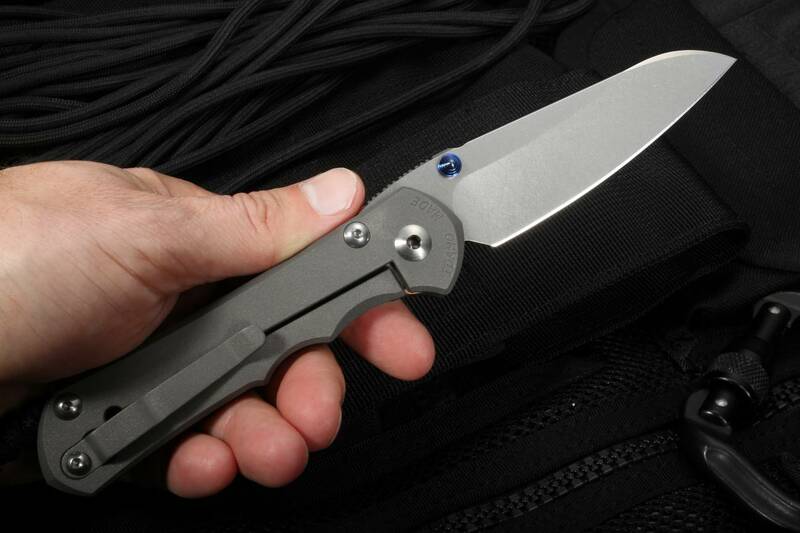 The blade thickness is 8% wider than the large sebenza and provides increased heft in your hand, if you need a bigger folding knife for field tasks this is an excellent choice for your EDC. Each Chris Reeve product is made in Boise, Idaho USA and comes with a lifetime warranty. After years of heavy use, you can even send the knife in for spa treatment, sharpening and it comes back looking fully refurbished. The knife comes attractively packaged with multiple hex tools, a chamois cloth and fluorinated great to keep the knife opening smoothly. We are extremely proud to have his carbon fiber model as an exclusive in our Foundry Gear series. Lanyard: Black cord with Chris Reeve titanium bead. INCLUDED WITH KNIFE: Hex tools, loktite, attached lanyard/bead, CRK lubricant, certificate/paperwork, CRK chamois and packaging. This is the best iteration of the Inkosi I have seen so far. Blade geometry is improved for slicing, and is thin at the edge for ease of sharpening and cutting performance. The carbon fiber on the show side greatly improves weight and balance. Action is fantastic thanks to the retention/interface ceramic ball- very smooth. Awesome edc. The Inkosi Insingo is a great knife, and one that will last a lifetime! The carbon fiber front side gives it a desirable weight. The blade cuts well and the handle is ergonomic. A treasure to own! I owned the drop point CF Inkosi for more than a year and had to have the Insingo as well. IMO the CF version of any CRK is the perfection of the knife for EDC. The weight reduction alone is worth it. Of course, CRK does their part with a superb knife, and KA does theirs with lightning fast shipping. My latest insigno. Best one yet. Love it. I wanted to try the Inkosi but was specifically looking for the CF exclusive from KA with the Insingo blade. Seems like I got the last one! This guy is very light, very smooth and rides the pocket really well, as expected from CRK. CRK and KnifeArt for the win! The improvements of the Inkosi combined with the versatile Insingo blade style makes a superb tool. 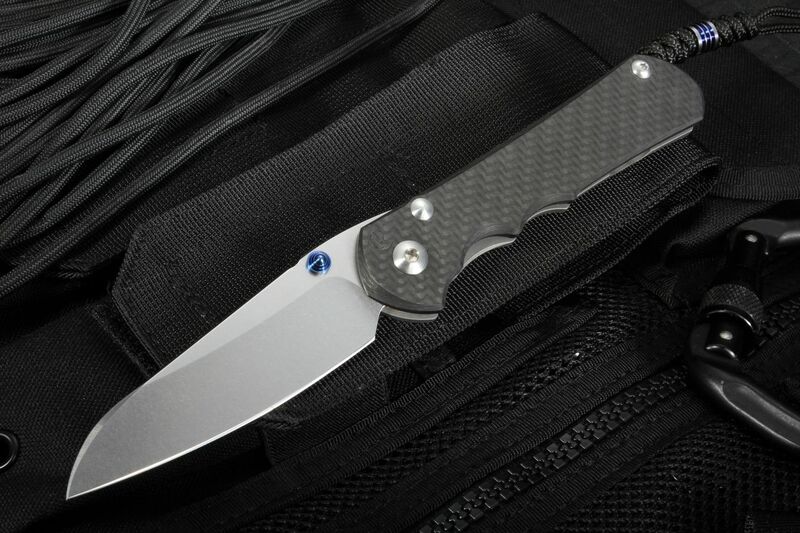 The carbon fiber scales takes out the weigth and makes this the ultimate combination. What can i say, KA service is outstanding, order with confidence.